As many of you may have noticed from my Flick feed (from the comments i’ve received), I’ve suddenly started using my pre-Leica days Nikon D800 DSLR again. At first it was to test lenses for my Nikon F4 SLR, then I took it to Poland for a model photography trip to share lenses with the Nikon F4. Love for the Nikon D800 was reignited using it with autofocus lenses such as the Tokina 100mm f2.8 Macro. Life was good. For my last model photography shoot in the UK I decided to dig out my Leica M8 to use. I shot the Leica M8 plus Leica Noctilux 50mm f1.0 v2 lens against the current flavour of the month, the Nikon D800 plus Tokina 100mm prime lens. Suddenly the Nikon D800 didn’t look so special any more. Out gunned by the old slow simple Leica M8 which produced far more pleasing images to my eyes. (Leica M8 10MP vs Nikon D800 36MP). Hmm, my revived Nikon romance was starting to show signs of weakness already. I then had another trip to pack for. I wanted to take one film camera and one digital camera. The smaller and lighter the better. I could not take the Leica M9, reasons to follow, so for the digital camera it was the Leica M8 or the Nikon D800. I needed professional quality images, not just arty looking, and possibly shooting in very low light. I picked the Nikon D800 and packed my smallest Nikon mount lenses, my new Voigtlander Ultron 40mm f2 SL II pancake manual focus lens and also my newly purchased Nikkor 28mm f2.8 E series manual focus lens. As for a film camera to take, the potentially obvious choice was the Nikon F4 SLR camera. I took the F4 to Poland but it is bulky and heavy. I also needed lenses to be sharp wide open and I know the Nikkor 50mm primes are sub-standard vs Leica quality (from my experience anyway). I don’t rate my little Nikkor 50mm f1.4D prime lens but I know others love it. (I’ve maybe been spoilt be Leica glass but there are many better Nikon F mount lenses I use too). I therefore chose my Leica M3 double stroke camera paired with the mighty Leica Summicron 50mm f2 DR lens. 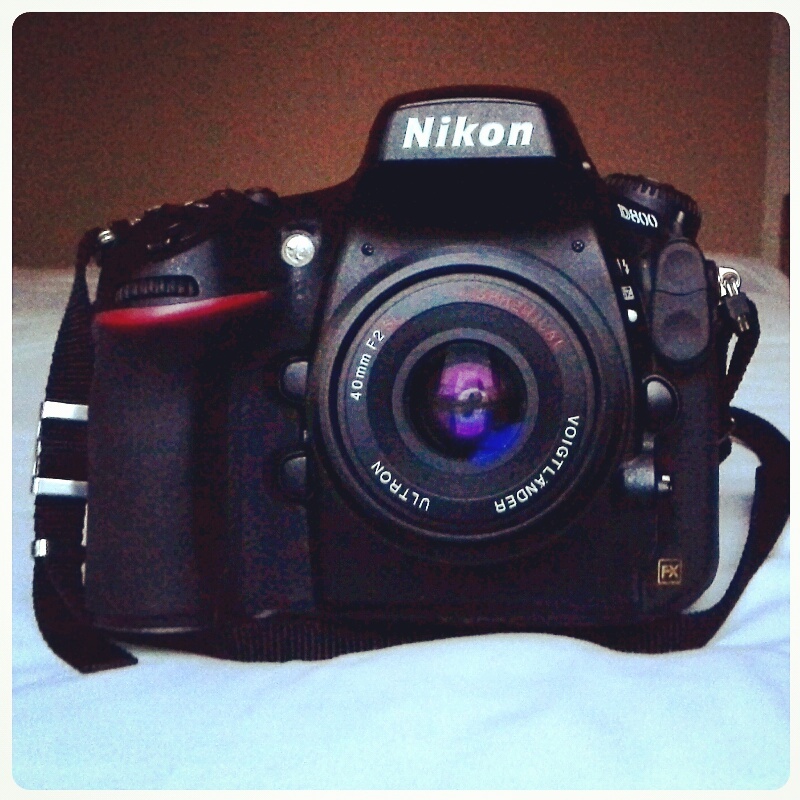 After a two days of shooting the Nikon D800 with manual focus lenses the Nikon romance was officially dead. I wished I had taken my Leica M8 not the D800 despite one shoot being at ISO 3200 and me having to use pop up flash on the D800 for some photos. My eyes really struggled to focus the MF lenses on the Nikon D800 by eye resulting in some mis-focused images for the first shoot. When I tried to work fast and focus by eye at more than 0.5m I find I missed on a few photos. When I focused at more than 1m distance from my model I used the Nikon focus confirmation green dot in the viewfinder and it was still easy to miss focus. My next option was to stop lenses down to from f2-f2.8 to say f4-f5.6 and I was still able to miss focus on the models eyes. On the Leica M cameras I can hit focus at f1 on the Leica Noctilux pretty much every photo with the Leica rangefinder focus system. It seems my eyes became spoilt by 18 months of using the Leica RF system and now I am no longer able to focus a DSLR accurately and quickly with manual focus lenses. (I could prior to owning a Leica and frequently used lenses like the Nikkor 50mm f1.2 Ai-s on the D800 with very shallow DOF and manual focus). When I did the Nikon F4 vs Leica M3 shoot out prior to this trip with model Harriet (link below) I did not struggle using the Nikon F4 with manual focus Nikkor 50mm f1.2 lens but then thinking back to it, most photos were taken at around 0.5m or less distance. Some models make me want to shoot as close as possible to capture face details yet others make me want to back up to get full length images. Perhaps long legs. It also depends on the location, whether to include the background or hide it. If I am doing a location shoot I try to include the background in my photos but if I am in the studio or my garden for example I will often crop closer (work closer to the model). So to conclude, the Nikon D800 cannot match the Leica M8 or Leica M9 in creating interesting images in terms of rendering from the CCD Leica sensor (together with Leica M lens glass) vs Nikon CMOS sensor. No surprise that I prefer the filmic look of the CCD sensor when I love film photography. The D800 can however create clean sharp modern looking images and at an ISO of 1600-3200 vs 640-800 on the M9 and even lower ISO on the M8. Secondly, for manual focus lenses, I found my weakness in that I have lost my ability to focus MF lenses accurately with the D800. This is not a deal breaker as I have some autofocus lenses for the D800 like the Tokina 100mm Macro. This camera-lens combination still lets me focus longer and closer that my regular Leica M lenses and as quickly and accurately. I still love the large file size of the Nikon D800 for creative cropping, the long battery life and the modern larger rear LCD display. It looks like maybe I am moving towards getting a Leica M 240 again! Is the Nikon D800 dead? Is the Nikon D800 dead once more, to be returned to the shelf to collect dust for another 18 months? No. I just need to be aware that personally I can operate the D800 better (faster and more accurately) with autofocus lenses. Strangely I find it easier to focus the Nikon F4 vs the D800 for manual lenses. Hi John, sorry for the delay. I thought I had replied but I don’t think it saved. I have a Nikon FM but I actually prefer the standard Nikon F4 screen. The F4 is really a joy to use. With macro lenses on the F4 i’m pretty sure the images are of ‘Leica’ ‘standard’. I am really pleased with some of the results I have been getting.